In 2007, we were featured on the A Channel as one of the best carpet cleaners in Ottawa and area. But let’s face it, all carpet and rug cleaners think they are the best. But once you think you’re the best, you stop learning and close your eyes to cutting edge ideas. Our reviews should therefore come from our customers. We created this Carpet Cleaning Reviews Ottawa area of our website so you can see what some of them are saying! 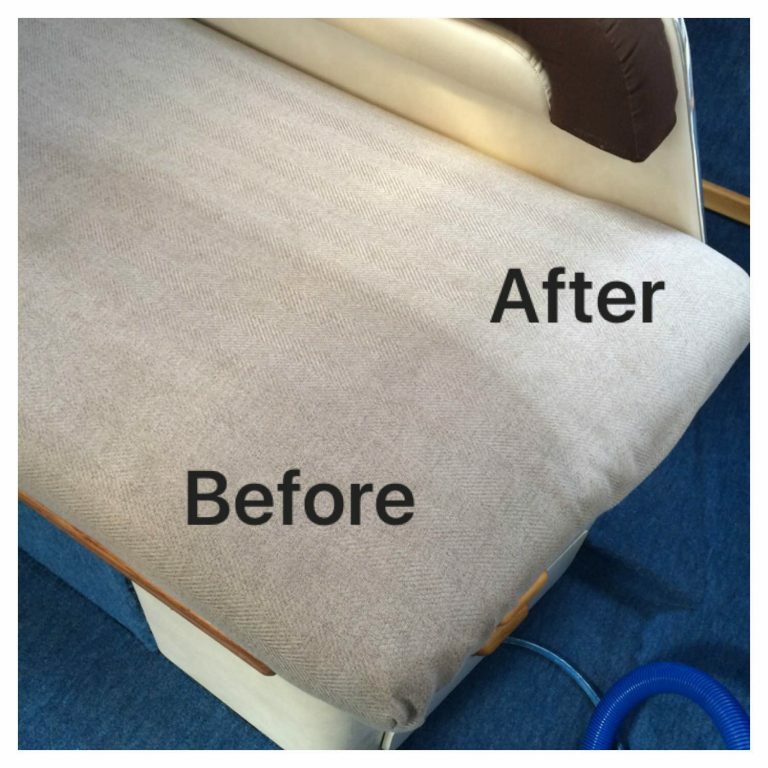 Boat Upholstery Cleaning Ottawa – Before and After PictureWe purchased an older 30ft boat two years ago that had major stains on the carpet and on the upholstery inside the salon. We were unable to clean these and considered removing and installing new – a very expensive enterprise. Peacock had done two other jobs for us during the last year and we were very pleased with both, so we decided to try them on this before we put the boat away for the winter. The young lad at Kemptville was incredibly knowledgeable and confident. The stains are all gone now, and the charge was amazingly reasonable. I am very impressed with this gentleman and his abilities. I highly recommend Peacock for any carpet cleaning job without reservation. Thanks for a great job, well done. Peacock Rug Care has been doing my carpets for twelve years now. They were recommended to me by a friend and I have since referred them to other family members and neighbors. They are professional and at the same time family-oriented and personable. They are always very careful. They’re mindful of pets. They are friendly, nice, professional, clean, and trustworthy. I had gone to an auction and bought a nice, traditional carpet for the front door but it had a lot of running in it and looked generally unkempt. But I used it for the whole winter before I sent it to Peacock Rug Care with a couple of other rugs. Now I use it as an area rug in my family room. They did a fantastic job and I would highly recommend them. They are such nice people too. Peacock Rug Care is the best! I will only be going to them to get my rugs cleaned. I’ve used several other businesses for rug cleaning and have never been as impressed as I am with Peacock Rug Care. I initially took in a couple of Persian rugs to their shop to get cleaned and was thoroughly wowed when I came to pick them up. My rugs were so much brighter and cleaner. Additionally, everyone there was very friendly and helpful. They finished the job in a timely manner and helped me load my rugs back into my car. I’m happy to support a local company that is so courteous and efficient. We are happy with the work done by Peacock Rug Care. We have used them in the past and will use them again in the future. Peacock Rug Care made themselves available to us based on our time frame. We delivered the carpet and they were very amiable. They were willing to show us how the whole process of carpet cleaning worked and also showed us samples of carpets that they were doing for other people currently and had done previously. It was a fun experience. Both representatives were funny, and it was like dealing with someone we had worked with many years even though this was our first time with them. It was a lot of laughing and joking and it was great. He asked if we needed it back by a specific date, and I told him Mother’s day. He called us about a week later to tell us that it was ready, which he already informed us that it was going to be, and we went and picked it up without any problems. I would definitely continue to use their service. They were actually recommended to us by another carpet company, since what we needed cleaned was a handmade Turkish carpet and we had met the women who made it. The work they did was great and it was a fun experience. When we decided to clean our favourite Persian carpet after 14 years, we checked with the Better Business Bureau. The Peacock Rug Care was listed #1 with 100S% customer satisfaction. That turned out to be our experience as well. Not only did our 3 carpets come back looking exactly like the day we purchased them, the delivery person took the care and time to make sure the carpets were exactly where we wanted them. They are a responsible, knowledgeable, trustworthy company who leaned over backwards to accommodate our busy renovations schedule. Thank you. The staff at Peacock Rug Care is wonderful to deal with. Murray and his wife are very professional, friendly, and easy to talk to. The young man who came to clean my rugs also had a wonderful personality and worked very efficiently. The prices are reasonable and I haven’t had any issues with their service. They do an excellent job cleaning our carpet and rugs. Mr. Peacock also expertly repaired a bleached spot in the middle of my living room once. The quality of the service is excellent and I have nothing negative to say about them. I’ve already recommended them to some of my friends. I’m very satisfied with Peacock Rug Care. I had a pet sitter who tried to use bleach to clean a stain from my carpet and I thought I had to replace the whole thing. After calling Peacock Rug Care, they were able to come and dye it which I didn’t think was possible. I was impressed with their workmanship so I called them back to come and clean it another time. They’re polite, professional, and efficient. I’d definitely recommend them. I had to sell my condo very quickly so I needed fast service to clean the carpets. I found Peacock Rug Care to be very kind and very efficient. They got somebody out here quickly and, overall, the biggest thing I’m happy about is that I was able to speak to a live customer service representative. Not only were they very kind over the phone, I really like that I was able to speak to a live person and not an answer machine. The staff from Peacock Rug Care is very professional and conscientious when carrying out their work. The results are so good that several residents have had them do private work as well. I would recommend them without any hesitation. Peacock Rug Care provided us with excellent service. They really knew what they were doing with our furniture and blinds. The people they sent to our home were reliable, trustworthy, polite and very professional.